Maybe you're familiar with the award winning TV series Mad men. It's about the employees of an advertising company at the start of the 60's, and it involves a lot of drinking, smoking and cheating. Sounds good already. Yet this series has particularly been praised for the incredible accuracy and detail in the sets and costumes. The style of mad men is incredibly inspiring. While watching the gorgeous actors walk around in the most flattering, feminine vintage creations you might feel like dressing up yourself. In all honesty, there's rarely been an area in time when women's fashion was more fabulous. 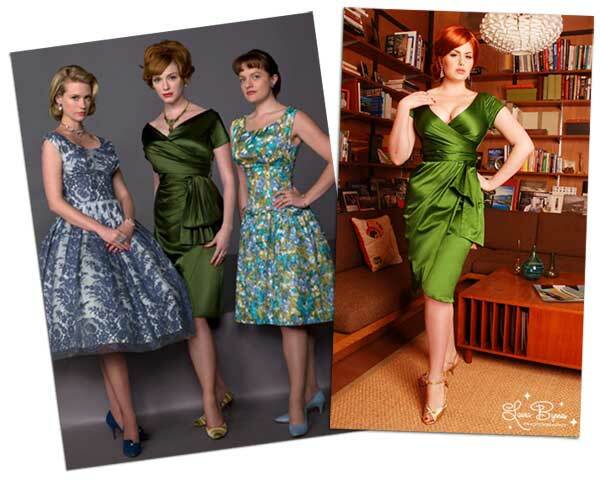 The great news is, it's not that hard to look that look in one of our retro or vintage dresses. The Ava Green dress (also available in teal), is now available at Bennies Fifties or online at www.fiftiesstore.com. And if you want a little bit more choice, we have more than 200 different dresses alone! Plenty of choice, plenty of fun.